Beautifully printed in brilliant color on high-quality, 13pt matte art paper. 18×24 inches – standard frame size. 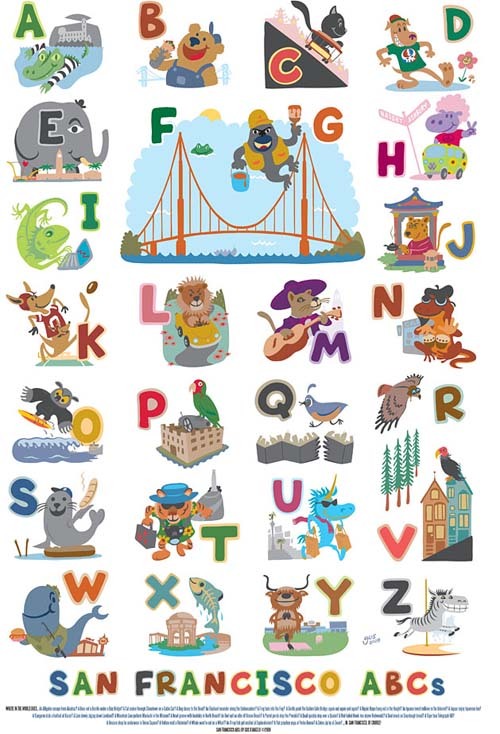 Legend at bottom reveals each letter’s San Francisco-flavored wordplay puzzle. Can you figure out each letter?? ?